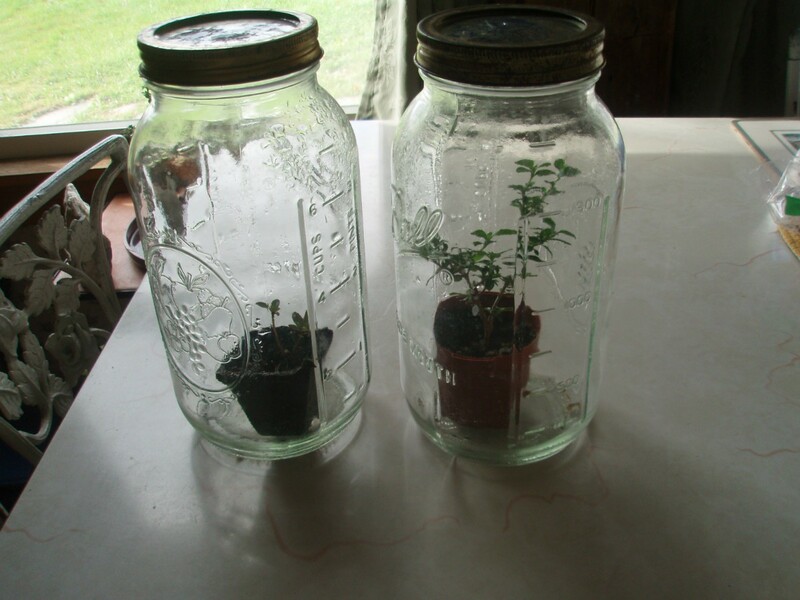 If you need to go away and have some plants that will need special care (mine were tiny plants being trained for bonsai that needed daily small watering), try this method. If you have large Mason or other clear jars with lids (or probably even clear bowls that would align to the pots they are in) add your plants, water them, and close them up. It becomes an instant terrarium! I did this a few days "before" going on my vacation to make sure it worked and it did so swimmingly! Plants were doing great after coming home a week later!